If you build it, Hollywood will come. Ottawa has a new haunt: a phantom-friendly movie set built in the city’s east end. For six weeks, the capital has welcomed the Netflix-original production, I Am the Pretty Thing That Lives in the House, starring Golden-Globe-winner Ruth Wilson (The Affair) and Bob Balaban (Gosford Park). 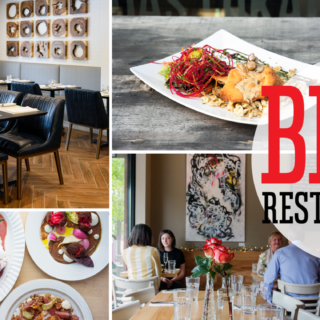 This isn’t the first time Tinseltown has wintered in Ottawa – all thanks to two local businessmen and producers: Rob Menzies of Zed Filmworks and Alphonse Ghossein of Go Insane Films. Their local shooting spree includes Highly Functional, an upcoming film starring Bruce Campbell, and Bottom of the World, starring Jena Malone. Ghossein hopes all that movie magic helps conjure a permanent studio space in Ottawa. If the winter chill has seemed frostier than usual, you can blame an extended visit from the first family of horror. The current production is written and directed by Osgood Perkins, the son of Anthony Perkins – a.k.a. Norman Bates. The latter’s musician son, Elvis, is also scoring the soundtrack. Q: What can you tell us about this movie? Menzies: There is a ghost in this movie. But it’s really a throwback to the classic era of horror, referencing things like Rosemary’s Baby. It is very classical and artistic in its storytelling. It is not a slasher film, it’s not a 2016 horror movie. This is a class thriller. The last thing we want is to be classified as is a ‘haunted house’ movie. It takes place over a number of time periods, and Paula Prentiss plays an elderly writer living in the house. In the past, she was famous for writing these amazing ghost-type stories. And our lead actor, Ruth Wilson… plays a live-in nurse that arrives to look after the last few days of this writer’s life. It really is all about the relationship between those two characters, without revealing too much. Ghossein: We have amazing stars…. This should be getting made in Hollywood, but it’s here in Ottawa. This city is coming to the world stage. 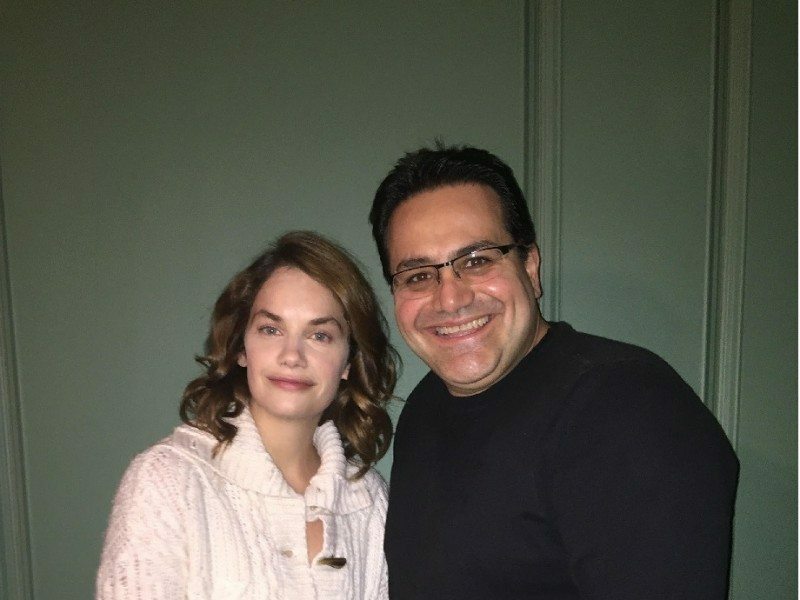 Actress Ruth Wilson and Ottawa producer Al Ghossein on set. Q: The exterior production will be filmed over three days outside Ottawa. Tell us about it. M: We were looking for a very particular house for this movie, which we found in Morrisburg. It is a very particular look that Oz wanted – a very traditional, 1800s New England-style home you don’t really find around here. He wanted a house that had the personality he envisioned when writing the script. We had scouts on the road for weeks looking for it; we started in Ottawa and continued on until we got to the edge of Ontario … the house literally sits on the edge of the St. Lawrence River. It really was pretty much the last house in the Ottawa-Eastern Ontario region. Q: What did you build in Ottawa? Ruth Wilson on The Affair. M: We built the interiors of what this house might look like. 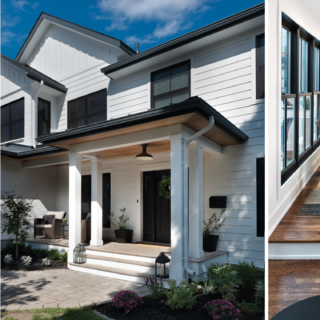 We replicated the front door and inside hallway, and windows – all that matches the exterior of the house. The benefits of having a set is that you can build larger than any real house. You don’t notice that after it’s filmed, but you have the ability to remove walls, the ability to cater to the director’s every whim – every creative desire he had when writing the script – we can build it here. Q: What does an actress of Ruth Wilson’s calibre bring to the production? M: It’s a really challenging role for her; she is our lead, and this movie is really performance-driven. 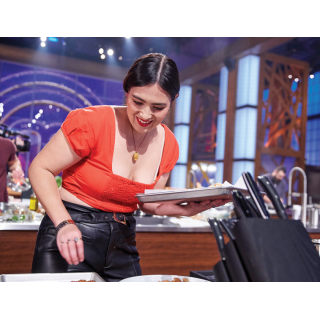 She’s an amazing talent; I couldn’t envision this without her. Q: What’s it like working with the sons of such a screen legend? M: You can tell there’s a heritage there. I think what Oz is doing, in his career, is being very respective of that heritage, and really trying to continue that legacy of the film’s made (in his father’s time). At the end of the day, Osgood is a fantastic storyteller. That’s what matters. Q: This is Osgood’s second feature film. He shot his first movie with you in the Ottawa region, which premiered at the Toronto film festival as February, but has been renamed The Black Coat’s Daughter for release this fall. What made the director come back? M: He had such a great experience in Ottawa. He was very attuned to this crew, and the crew was very loyal to him. And he thought, for his second movie, that it would be a great to bring the band back together. Q: Tell us about your dream to build a studio in Ottawa, potentially in partnership with government? G: We’d need a good 30 acres… and 50-60,000 square feet outside of the city. My vision is to create a real studio in Ottawa with (space for) three sets… anchored by a (regular TV) series’ production to serve as the bread and butter. Then when we have feature films, it’s there. We could rent out equipment and space to other productions that come to town…. The more we produce, the more that dream is turning into a reality. On The Black Coat’s Daughter: I’d combine two (unrelated) sounds in a disturbing way. It’s like putting two strangers in the room… and wanting them to not get along. I took different approaches. I (even) bought a fiddle, which I didn’t know how to play – knowing one of the worst sounds you can muster on the planet is someone who doesn’t know how to play the fiddle. I ending up using some of those unpleasant sounds I stumbled upon. On I Am the Pretty Thing That Lives in the House: I think this film will require a more finessed… lonelier, contained sound – just by the nature of the story … more of a stranger in a room by himself, left alone with his thoughts and fears – her fears, as it were. 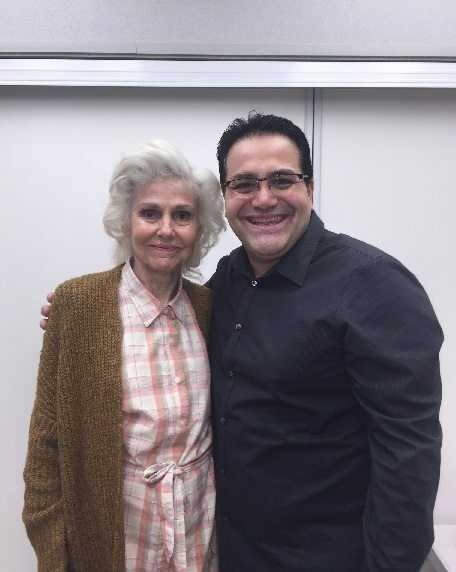 Actress Paula Prentiss and Ottawa producer Al Ghossein on set.